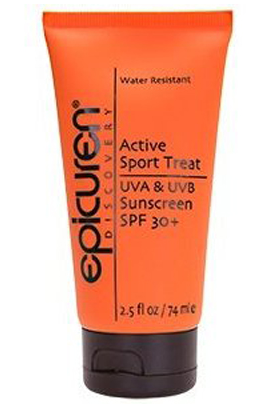 Epicuren's Sport Treat Sunscreen was recommended by Fitsugar.com back in November. Michele Foley, Fitsugar's editor, likes the Sport Treat Sunscreen because it stays on the skin for a long time and holds up during sweaty outdoor workouts. Click here for more information on Epicuren's Sport Treat Sunscreen.